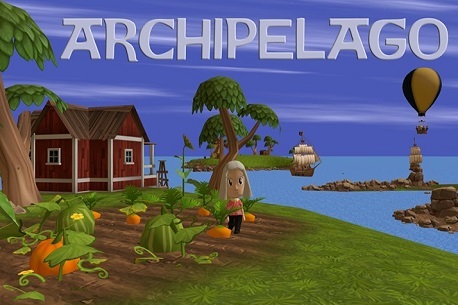 Intro: Archipelago is a 30 minute navigable motion picture set on a series of islands containing 65 characters, 6 thousand lines of dialogue, and 3 or 4 chickens. Archipelago’s written content is roughly equivalent to a 100 page book. It would take more than 30 hours to follow every single character from start to finish. Review: The game takes place on an island with 65 different characters (and a few animals) and each of those characters has a storyline. Imagine a storybook where you could get board of Snow White moaning about everything and go off and follow what the Dwarfs are up to, it’s just like that a storybook in which you choice the story to follow along with (or not). Getting about is a fairly slow process, using the Oculus Remote you can walk in whatever direction you choose (including up or down, just about wherever you look) and if you want to tag-along with a storyline you can just follow along behind, choosing what you read of the story and what you are looking at. Missed a part of the story? No problem, you can simply reverse or forward the 30-minute timeline as you choose. Every character’s storyline is 30 minutes which gives the game the claim to fame that it has over 6 thousand lines of dialogue to read (no voice acting here). Each one is very different and there is even some light adult humour thrown in for good measure. Verdict: I need to have a little moan. You see, most of the untested “Gallery Apps” (A broad, less-filtered collection from VR creators.) on the Oculus Store have been Steam VR remixes and not many original concept titles. Luckily Archipelago has restored my faith in the category as a whole. It’s not just a concept idea, it’s a very good concept idea. It’s the perfect storybook for kids before they go to bed and I have been using it to read a story a night to my little boy as we follow along with a characters adventure (me in VR, him watching the screen) We have been doing this for a week now and still no sign of running out anytime soon of storylines to follow. Graphically it won’t blow you away, but the sheer size and complexity of this game is much deserving of some respect. Truly a unique idea in a sea of many familiar ones.